The BlackHOLE®. Zero-Emission, Low-Cost Municipal Solid Waste Management. EPA Approved. No Burning, No Landfill. No More Burning. No More Burying. THE PROBLEM: High Costs. Environmental Harm. Landfills. Incineration. Plasma Gasification. Every method adopted by the waste management industry to date has proven to be far too costly, and damaging to the environment. None of the methods are truly cost-effective, or zero-emission. The Solution: NO BURNING. NO BURYING. 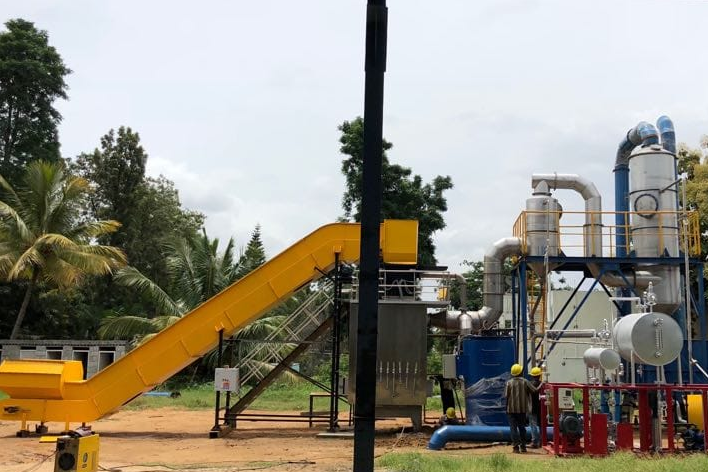 In 2018 the U.S. Environmental Protection Agency approved The BlackHOLE®, the waste industry’s first verified low-cost, 100% emission-free, solid waste processing solution. The EPA has never before approved a technology in this class. The innovative machine, used successfully by municipal clients in Asia since 2013, is based on TeslaGREEN’s own trademarked technology, patented in 152 countries. No incineration is involved. To clarify, the ingenious plasma state–induced, hydrogen-splitting technology does not rely on burning, as do older, seemingly similar technologies, to molecularly transform waste matter (MSW & Biomass) down to its basic elements. It’s a much smarter technology that takes municipal solid waste processing far beyond incineration & plasma gasification. Industry pros have seen many promising, yet disappointing, technologies come and go. TeslaGREEN’s BlackHOLE®, however, is the first to do what it promises: Dramatically Lower Costs. The BlackHOLE® became possible after TeslaGREEN finally solved a problem that had perplexed science for over a century. When TeslaGREEN scientists discovered a way to maintain a low-heat plasma state, the door to the future of waste processing had been opened. In contrast, high-heat plasma state, like that generated in older, inefficient waste technology, creates too many problems, high costs being only one. The low-heat plasma state achieved in the BlackHOLE®–and maintained by feeding solid waste–can be found in no other technology previously introduced. It is the key reason why The BlackHOLE® is the first technology of its kind to be approved by the EPA. Carbon-Free Electricity (WTE) – Verified, profitable byproducts include over 65mwh of electricity (about as much as a nuclear power plant), valuable bio-oil, and high quality ceramic ash for use in brick and cement (unlike useless fly ash generated by incineration plants). See more on WTE capabilities below. Low Temp – Incinerators operate at high temperatures and require a costly secondary combustion system. BlackHOLE® does not require higher temperatures as it has the unique feature of Plasmic Decomposition. ANY WASTE, Wet or Dry! There are virtually NO limitations! How can we prove these claims, especially since there have been similar claims with disappointing results? Today, TeslaGREEN is just beginning operations outside of Asia, as it took several years to attain U.S. EPA approval and permits. The EPA had never before approved a technology like this. BlackHOLE®’s promise to inexpensively and cleanly transform the world’s waste may seem like fantasy. However, it is far beyond concept stage. Since 2013, it has been used by municipalities in Asia with great results. A relatively low purchase cost, along with with drastically lower operating & maintenance costs… combined with technology that actually does what it promises, make The BlackHOLE® the first “breakthrough” waste management technology worthy of investment. Dioxins, Furans, Parabens, and all other gaseous products, are dissociated within the main chamber of a BlackHOLE® machine, then converted to ionized oxygen, which in turn maintains low-plasmic heat. Any remaining gaseous emissions from the machine are passed through a customized three-stage wet scrubber. The scrubber allows the output gaseous emission from the chimney to be smokeless, odorless and 100% non-toxic, all EPA-regulated. BlackHOLE may be placed in a Transfer Station to save tipping fees & operating costs including transporation. 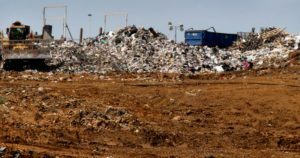 Large machines may be placed at a Landfill (1) to eliminate need for incoming waste to be deposited, (2) to process existing old buried landfill material at the site, with the goal of reduction or complete elimination. 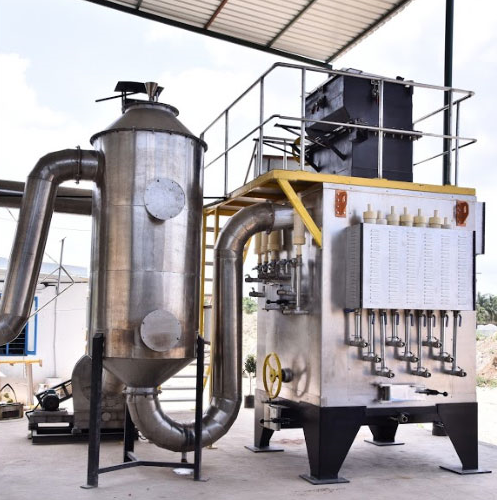 Can be placed at manufacturers that produce large amounts of waste, other corporations, paper mills, scrap or shredding facilities, hospitals, commercial complexes, schools, industrial tech parks & more to process all waste on site and to eliminate most expensive processing, storage and carting costs. Large residential communities greatly benefit from having BlackHOLE® on site, processing the community’s waste, eliminating the need for frequent waste pick-up. BlackHOLE®’s portability extends beyond land. 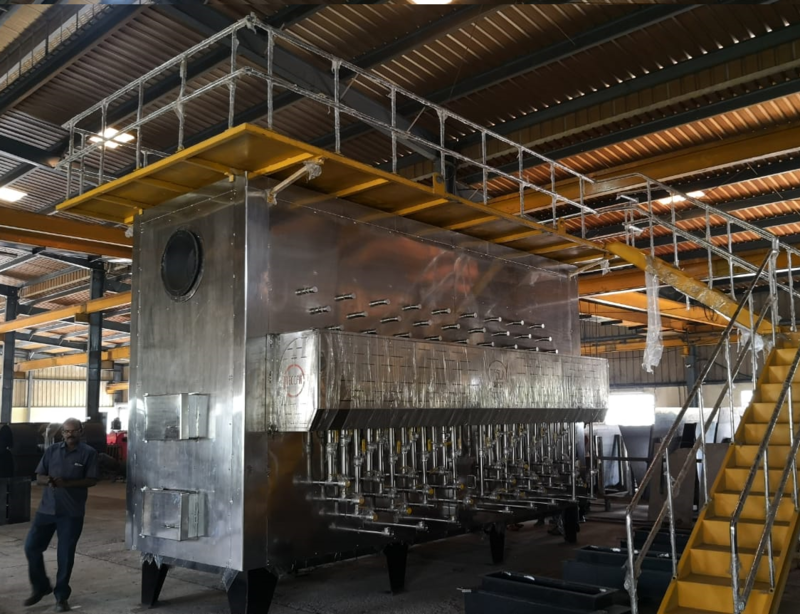 The machine may be fitted to a commercial or military ship to process waste during a voyage, eliminating the need to store and transport virtually all waste that is generated on a cruise ship, naval vessel or other. BlackHOLE® may be used in 2 ways. First, simply as a way to process waste in a clean, cheap manner. However, if desired, an abundance of electricity –up to 65mwh per machine (about as much as nuclear)— may be harnessed for sale back to the grid. BlackHOLE® generates abundant Carbon-Free Electricity at costs far lower than anything else. Additionally, The BlackHOLE® is the only kind of machine that can generate bio-diesel/lubricating oil/T-Tar for laying roads and cement/bricks from demolition waste. We generate bio-diesel from not only plastics, but also from tires, unlike other bio-diesel plants. Compared with incineration and plasma gasification, BlackHOLE® is far less expensive, and it generates more electricity per ton. Hydrogen Splitting: BlackHOLE®’s resultant ceramic ash (which is far more stable than fly ash) is only 2-3% as compared to 25-30% in regular incineration plants. Since the ash percentage generation is extremely low, the flue gas volume is much higher than older competitors, with major components being only Hydrogen and Carbon Monoxide (CO). The CO emissions are already 10 times below the norm, but with the help of TeslaGREEN’s low voltage heaters the machines are able to dissociate any remnant CO to carbon (it becomes part of the sludge) and oxygen. BlackHOLE® emits very low levels of other gases and no Dioxins and Di-furans because of the highly controlled oxygen flow into the chamber, and due to the state of Plasma development inside the chamber. From this flue gas we split the hydrogen to generate electricity. Thermoelectric Panels Which Replace The Insulation. The Seebeck Effect is used to generate electricity through this method. The Seebeck Effect is a phenomenon in which a temperature difference between two dissimilar electrical conductors or semiconductors produces a voltage difference between the two substances. ORC Turbines: Organic Rankin Cycle Turbine. BlackHOLE® uses an amalgamated mixture of six different types of organic fluids that flow into a jacket compartment around the main chamber and into the Flue gas chamber (temperatures above 650 degree centigrade) to run the turbines. It is 4-6 times more efficient than any stem turbines. Since the main chamber does not need any external source of fuel (no electricity, no fossil fuel) to operate, whatever electricity is generated is supplied to the grid and nothing is looped back into the machine. That results in higher NET OUTPUT. No cooling systems are required due to the LOW HEAT PLASMA TEMPERATURES, and most of the output temperatures are converted into electricity. BlackHOLE®’s process, based on POPS™ Technology (Programmed Oxygenation Plasma State), involves low-heat plasma. To reiterate, it is not to be confused with high-heat plasma gasification introduced years ago, which involves high costs and harmful emissions. Care to see the BlackHOLE® in person? We are scheduling demonstrations in both The United States and Malaysia.